FND - 33 - Creating bgRFC supervisor destination | It`s full of stars! 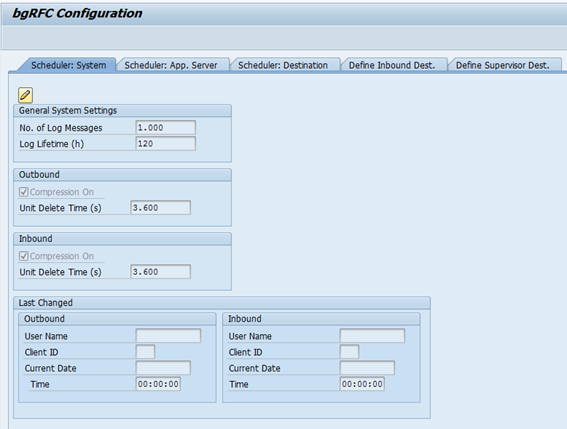 The configuration steps to be executed on the HUB system (FND) are detailed at SAP Help. 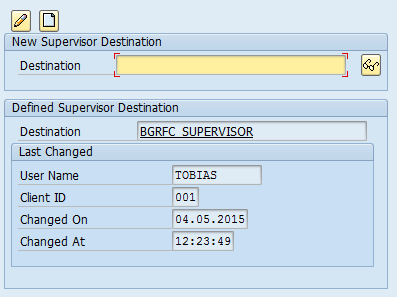 The steps are for the OData Channel Service for backend system. 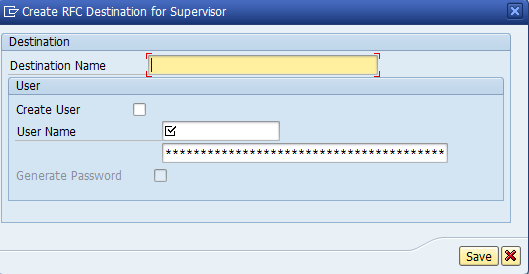 This document explains how to execute step 3.3. 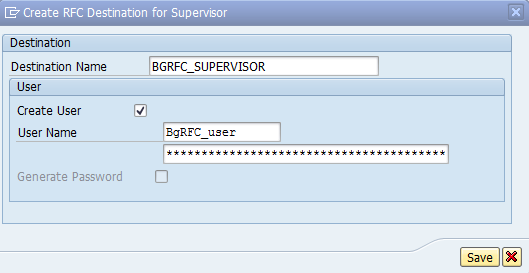 This entry was posted in Basis, OData, SAP and tagged bgrfc, configuration, rfc, sapgui, spro. Bookmark the permalink. 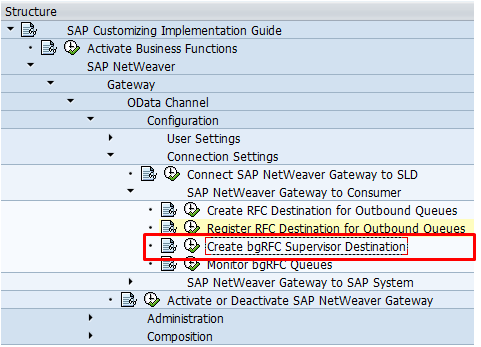 Pingback: FND – 5 – Activate SAP NetWeaver Gateway | It`s full of stars!